For some reason this Hurricane Harvey footage got past the editors at ABC News. 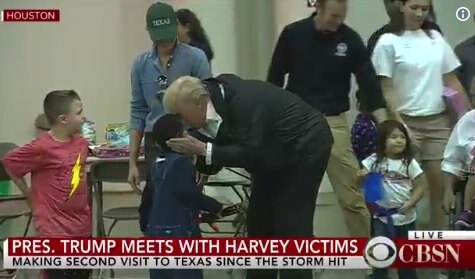 President Trump visited with the victims of Hurricane Harvey today in Houston and Louisiana. 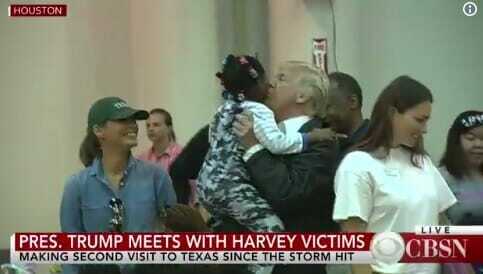 During one stop at a Houston shelter President Trump hugged the children and took selfies with the victims.